By downloading and/or installing our software on any site you explicitly agree to the terms of its license, GNU General Public License version 3 or any later version published by the Free Software Foundation. A copy of the license is included with our software. If you did not receive a copy of the license please refer to the GNU User License page on our website or use the Contact us page to request an electronic copy of the license. UWiX offers downloads and support as a service to our customers. Downloads are divided into free-of-charge downloads, available to non-registered users, and for-a-fee downloads, available only to subscribers. Anyone who can access UWiX.nl by using the internet can download the free-of-charge products. The for-a-fee products are available to logged in subscribers for the term of the subscription. After a subscription is expired the access to any of the for-a-fee downloads is disabled even for those products which were already published during the user subscription’s term. Support services are provided to active and logged in subscribers only for the term of subscription. If the subscription is expired no replies to existing tickets or new tickets can be made. Private tickets will no longer be available and cannot be read back. Our services are provided as-is, without any warranty whatsoever. The exact terms of our software license can be read by following the "GNU License" link in the Home menu at the top of our UWiX.nl webpage. Regarding the support services, we can not guarantee the validity or veracity of any provided information or suggestion. IN NO EVENT UNLESS REQUIRED BY APPLICABLE LAW UWIX, ITS OWNERS, STAFF, ASSOCIATES OR ANYONE AFFILIATED WITH ITS MAINTENANCE, OPERATION OR HOSTING BE LIABLE TO YOU FOR DAMAGES, INCLUDING ANY GENERAL, SPECIAL, INCIDENTAL OR CONSEQUENTIAL DAMAGES ARISING OUT OF THE USE OR INABILITY TO USE THE SERVICES (INCLUDING BUT NOT LIMITED TO LOSS OF DATA OR DATA BEING RENDERED INACCURATE OR LOSSES SUSTAINED BY YOU OR THIRD PARTIES OR A FAILURE OF OUR PROGRAMS TO OPERATE WITH ANY OTHER PROGRAMS), EVEN IF SUCH PARTY HAS BEEN ADVISED OF THE POSSIBILITY OF SUCH DAMAGES. Should the applicable law hold UWiX, its owners or any party affiliated with it liable for damages, the maximum amount of damages acknowledged shall be no higher than 5 Euros. Shall any dispute arise between UWiX and a third party, the only applicable jurisdiction is the Courts of Law of the Netherlands. Clarification for the software download service: Downloading the free edition of our software or any other item which is made available to the general public without the need for an active subscription (e.g. documentation) does not constitute performance of our download service. In other words, if you download free-of-fee software and its documentation your right to withdraw is not affected. Further clarification: if you bought the wrong subscription or you failed to use a valid coupon code you have in possession please contact us instantly. Even though we cannot issue a refund, we can always convert your subscription to the correct type and / or adjust the duration of your subscription to match what you’ve paid. We only provide support to our subscribers through our site's Support section. We will not provide support by any other means including, but not limited to, email, regular mail, telephone, Twitter, Facebook, Skype and so on. If you email us directly for support or reply by email to your ticket or contact us via Skype, Facebook, Google+, Twitter, letter, fax or any other kind of electronic, digital, analogue, on-line, off-line or other means of communication whatsoever -with the sole exception of our support ticket system- we will NOT read it and we will NOT respond to it. To make this absolutely explicit: for all intents and purposes it is as though you never sent us any communication. Even if you receive a response from us in any way it does not constitute, indicate or imply that we accept, acknowledge or take into account your reply in any way whatsoever. If you wish to receive support without using our site's Support section or demand that you be given a full discount in violation of our refund policy we reserve the right to request to be paid according to our regular consultancy rates. Our regular consultancy rates are 84,97 Euros per hour (VAT included), minimum charge one hour. No charge will be made and no support will be provided unless you explicitly request to be provided with personalised support with additional cost in accordance to our consultancy rates outlined in this paragraph. In case of on-premises support a specific arrangement has to made. Subscription at UWiX. Nl is not to be considered as a guarantee of response time or a service level agreement. All tickets are answered on a "best effort" basis. Private tickets and severe bug report are given top priority, public tickets are given medium priority. If you have not received any response within three working days, please use the Contact us page to let us know of the issue. If we determine that there is an objective difficulty in providing support to you over our ticket system we will provide you with support over email, in exception of our support policy. Typically we work Monday to Friday, 9am to 6pm Central European time zone. In case of unavailability of our support personnel for scheduled or unscheduled reasons you will be notified at the bottom of every page of our support ticket system, right above the message stating our working hours and with an overlay above the main ticket text area when you are filing a new ticket or replying to an existing one. The developers who reply to your support requests are not available outside working hours and / or during period of scheduled or unscheduled unavailability as explicitly described above. Tickets filed during working hours are typically replied in minutes to hours, depending on the complexity of your request and the availability of support personnel. There is no guaranteed response time or service level agreement. Tickets filed outside working hours OR during unavailability periods are typically replied in the next working day and ONLY during our working hours as explicitly described above. Any replies or other communication sent to you outside our working hours or during an unavailability period do not constitute, indicate, or otherwise imply that we can or will respond to any further inquiries, tickets, replies or other forms of communication, contacts or requests filed by you or anybody else outside our working hours or during our unavailability period. We reserve the right to provide no support for outdated versions of our software, when your server environment does not meet our minimum requirements or when you have modified the core code files shipped with your site's script or our software beyond what the respective developers reasonably expect you to do in the normal course of using their software. We reserve the right to give you a link to the extension’s FAQ page, documentation and/or previous public tickets if we deem it necessary for providing better support. We will not provide support for issues not related to our software or services. The scope of our support is strictly confined to our software. We cannot provide support for your operating system, hosting (including but not limited to: file management, PHP setup, web server configuration setup, usage limits), your CMS / web application (such as but not limited to Joomla!, WordPress, Drupal, etc) or anything that is not part of the code that has been written by UWiX and is part of the software package we distribute from our site. We reserve the right to decline support if the request or the conversation is conducted in a language other than English or when the language barrier makes it impossible to provide meaningful support. We reserve the right to decline providing support on a case by case basis (even though we do try to help everyone), with or without a reply to your ticket, in case the request includes foul language, accusations or otherwise indicates that it is highly unlikely that you are willing to help us resolve your issue in a meaningful way. We assume no responsibility for any issues directly or indirectly caused by our support efforts, as per the "No warranty" article of this policy. We reserve the right to close support tickets and decline further support about an issue when the client does not accept our technical analysis, declines to follow our advise, disputes our suitability to provide support, declines to provide information necessary to perform troubleshooting, declines to pursue the matter with their host or a third party developer that we have identified as the root cause of the issue or otherwise displays behavior which indicates that they are unlikely to let us provide meaningful support. We reserve the right to edit, close and/or delete support tickets with foul language or contentious behaviour. Repeated abusive and or irrational behaviour may result in limiting your account or, in extreme cases (such as racist or bigoted remarks and/or other violations of our Terms of Service) blocking or removing your account without a refund. Please bear in mind that we are trying to help you with an issue that's usually not our fault, doing complicated detective work with stark information. Calling us names or displaying irrational behaviour objectively blocks our ability to help you. 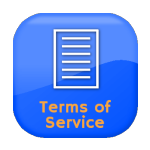 Requesting support from us does not guarantee a solution and we provide no service level agreement whatsoever. Even though we will do whatever is humanly possible for us to help you there are things objectively outside our control -such as limitations of the programming language, restrictions imposed by your ISP / host, technical limitations of your CMS / web application etc- which may prevent us from offering a solution. In these cases we will present you with our technical analysis and tell you who's responsible for the root cause of your issue. At this point you are to accept the issue as resolved from our side. Should you need to pursue this matter with the person, company or organization responsible for the root cause is entirely up to you and we cannot interfere, prevent or help you with this endeavour in any way. The owners of UWiX.nl believe in software Freedom and strive to provide low cost, high quality services surrounding their software. In order to keep the costs low, without placing artificial restrictions, we have a fair use policy in place. In no event shall we provide support to anyone who is seeking our support for more than three domains per month. This restriction is in place to deter edge cases, like a hosting provider buying a single subscription, installing the software on all of his clients' sites and then overflowing our support services with its client's requests. If such behaviour is detected, we regret to inform you that we will immediately terminate the user account without a refund. Moreover, UWiX.nl reserves the right to terminate any account which is suspected in being implicated in unlawful or abusive activity, including –but not limited to– unsolicited mass distribution of our for-a-fee software. Account termination is in the sole discretion of UWiX.nl and we reserve the right to not provide any prior warning or further information. If the content you submit to UWiX.nl is deemed offensive, inappropriate, defamatory, objectionable or in any other way engage in disruptive behaviour we reserve the right to use your personal information to stop such behaviour. If UWiX believes on reasonable grounds that you are in violation of the laws of the Netherlands, or the European Union directives, we reserve the right to submit your personal information - including the content itself and any other relevant information about you - to the proper authorities, such as law enforcement, your ISP or school email / ISP. UWiX reserves the right to terminate user accounts (free or paid subscribers) when the aforementioned fair use rules are violated. Furthermore, UWiX reserves the right to terminate user accounts if the user is posting unsolicited messages (spam), engaged in sites or services promoting the unauthorised distribution of proprietary or other distributed for-a-fee software (warez), directly promoting or linking to resources promoting indecent or unlawful actions, or in any other way trying to disrupt or diminish the quality of the services offered by this site. Account termination takes place without prior notice and is considered final. Holders of terminated accounts, if they are paid subscribers, will not be refunded. UWIX reserves the right to terminate any further user accounts created by the holder of a terminated account, or any other person, business or organisation affiliated with or endorsed by the holder of a terminated account. If you do as much as imply that you are encouraging people to use illegal or unofficial copies of software your account will be terminated without prior notice, as noted above. Respect the work of others and we'll respect you. If you don't and act as a pirate, you'll be treated as one. If you express hate speech against any member of our staff or a third person –including but not limited to derogatory comments about their gender, age, disabilities, ethnicity or religion– in any communication with UWiX over any medium –including but limited to tickets in our ticket system, contact form on our business or personal websites, email, phone, letter– or communication referring to UWiX to any publicly accessible medium –including but not limited to social media and third party forums– we reserve the right to terminate your account without refund and without any prior warning. This website contains hyperlinks to external resources, hosted and operated by third parties. These parties have their own privacy policies, including cookies, and we urge you to review them carefully. We do not accept any responsibility or liability for the handling of your personal information when visiting these external resources; your use of those third party resources and/or websites is your own responsibility. We also use third-party service and content providers (currently, only Google, Inc) who may collect their own set of personal information. Since these are third parties, the information collected by them is not governed by this Privacy Statement. Whenever you register for our members-only services, for example using our ticket system, we may ask personal information about you. This can consist of such information as your name, e-mail, website address, gender, etc. By entering the information in the fields requested you enable UWiX to provide you with the services you select. it is deemed of absolute necessity in order to protect our business (e.g. as a proof of service consumption in the case of a PayPal dispute). We will not sell, lease or in any other way allow any third party to have access to the raw, redacted or aggregated forms of this information, as per the next section of this document. If UWiX wishes to use the recorded personal information for other uses, it will notify you beforehand so that you have the chance to opt-out from these new uses. UWiX.nl does not operate a newsletter or any other form of mass email facility. Any update information which you may have received in your inbox are the result of a plugin running on your own site (which you opted in to enable during installation). UWiX.nl will never send unsolicited email messages ("spam") or allow third parties access to our users and contacts database. WE DO NOT SEND UNSOLICITED (OR EVEN OPT-IN) EMAIL MESSAGES FOR MARKETING PURPOSES WHATSOEVER. Information collected by UWiX.nl will not be shared with any third parties. Not in their raw form, not in a processed or aggregate form. We do not share personal information with third parties except as stated in the "Use of collected information" article above. Be aware: Please review the section on cookies, as we employ third-party service/content providers. These providers collect their own set of personal information, governed by their own privacy statements. If you are considered a minor in your jurisdiction (for example, people under 16 years of age in the Netherlands) you must get your parent's/guardian's permission before submitting any content or personal information to UWiX.nl. If you or your parent/guardian believes beyond doubt that such information have been submitted in violation of the above term, you may submit to us relevant proof (using the Contact us form) so that we can remove the offending information from our website and records. UWiX.nl does not use Google Analytics but only the Google Search functionality.